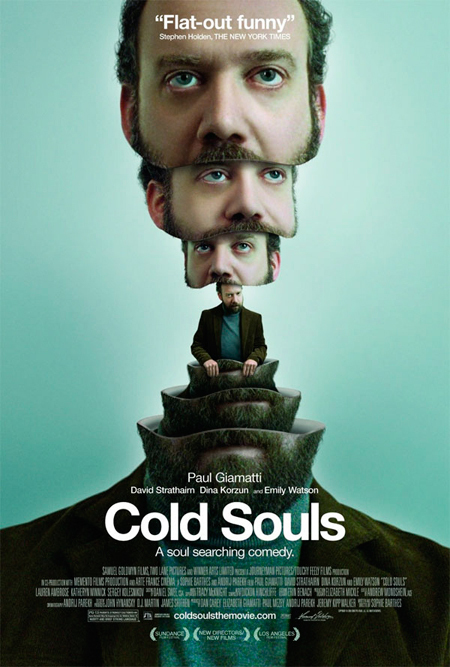 About a year and half ago, I was fortunate enough be the still-photographer on the upcoming movie Cold Souls (dir. Sophie Barthes, Samuel Goldwyn). Produced by Journeyman Pictures and Touchy Feely Films, the movie is finally coming out August 7th - and looks great. A cross between Woody Allen's Sleeper, Godard and Gogol, the movie is a black comedy with a sci-fi twist. Unfortunately, I missed the movie at the New Directors/New Films Festival, but am excited to finally see the film. A lot has already been written about the movie since it first screened at Sundance, but here is an interesting interview with Sophie Barthes, the director. UPDATE: The official site and trailer is now up here. I saw this during the Sydney film festival - I enjoyed it a great deal. It's very funny. I did think, however, that it was missing something... in part, I think this was because there were so many ideas in the film, that each was unable to be explored in any depth. Still, I gave it 4/5 in the festival polling. Thanks Sean. Glad you enjoyed the movie. I'm looking forward to finally seeing it. another film that I really want to see! Great sci fi photo on the flyer! Adam Bell is a photographer and writer. His work has been widely exhibited, and his essays and reviews have appeared in numerous publications, including Afterimage, Aperture, The Art Book Review, The Photobook Review, The Brooklyn Rail, fototazo, Foam Magazine, Lay Flat, photo-eye and Paper Journal. 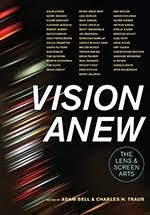 His books include Vision Anew: The Lens and Screen Arts and The Education of a Photographer. He is currently on staff and faculty at the MFA Photography, Video and Related Media Department at the School of Visual Arts.